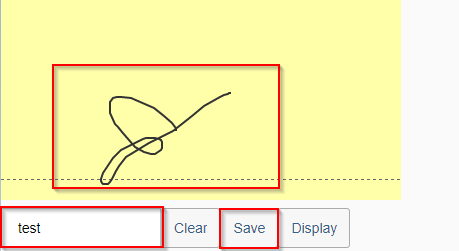 Recently I have got a requirement in which I need to display the captured digital signature in editable mode. SVG is is a graphic container element in HTML which stands for Scalable Vector Graphics. It used for defining graphics for the web. Earlier we used to capture and display signatures using Canvas. But I found it is better opting for SVG rather than going for Canvas for my requirement after going through many links. I also came know that when ever we need to make a change in Canvas we need to redraw the entire scene. The main advantage of SVG is it is scalable and it supports event handlers. Firstly I have created an OData service to get and create an entity. SELECT SINGLE * from ztsvg_signature into ER_ENTITY WHERE Name = lv_name. IO_DATA_PROVIDER->READ_ENTRY_DATA( IMPORTING ES_DATA = wsvg_signature ). In order to create an entity, perform get to read a single entity and click on use as request to perform post operation. In the custom controller, we are providing meta data to create a signature pad, its properties to capture mouse movement and the functions to get, set and clear signature details. The logic is as follows. Here I have accessed the custom controller to load all the metadata to create SVG Container and all the functions necessary to draw SVG graphics. I have created an instance for signature pad and all other UI elements like buttons and input field for name,. When a name and signature is provided and hit save, the name and SVG path will get saved to the backend system. 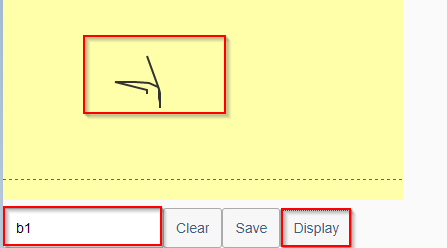 In order to display the signature provide the name and click on display. The result is as follows. That’s one interesting topic! Thanks for sharing. What is the phone or touch device through which this signature is captured? I had tested it on Desktop.I will test it on phone/ tab and will let you know. is it call 1st view or 2nd view or we will get error? 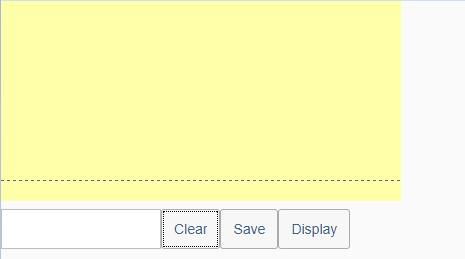 It won’t raises any error even if we use same pattern for 2 views. Based on the route you hit the corresponding target view will get loaded. In case of single route the first view (out of two views with same pattern) whose pattern matches will get loaded. Can we keep this Digital-Sign-Pad in a simple-form and Print it. Is it possible ? Is there any other for this? Yes we can keep a digital signature in a simple form and we can print it. How are you? Thank you for your reply. I have tried the following way, I kept the below code in form. It is not showing pdfform. But Iam able to capture the signature on Signature-pad. I followed your process, and was able to successfully get SVG image path in my backend service. But my requirement is to use this signature in a PDF. How can I use this SVG path in a PDF form? Do we have something in ABAP to convert SVG path to XML content ?